On this page is all the information you need to get started using Minn, including installation and setup. If there is anything you’re still unsure of then please contact us for help. That’s what we’re here for! If you don’t want the hassle of installing and setting up everything yourself, or just don’t have the time, then we can do it for you. 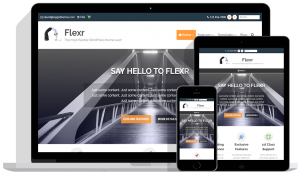 We have services available to quickly install, setup and configure both WordPress and your theme without you having to lift a finger! So, if you want us to do all the hard work for you then click here to find out more. If you’ve already purchased an installation and setup service then you can submit an installation request here. To successfully setup your site you’ll need to source web hosting, as well as complete installation of WordPress and the Minn theme. These tasks are covered in the following sections. Before you can install WordPress and Minn you’ll need to source your own web hosting. 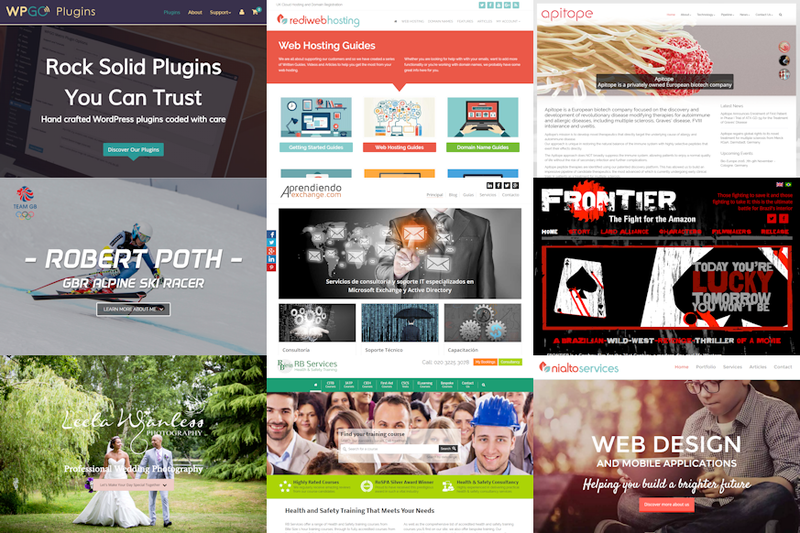 You can choose from any web host that supports WordPress (which is nearly all web hosts these days). If you don’t already have hosting then we recommend TerraNetwork web hosting. Click the banner image to the right to get started. 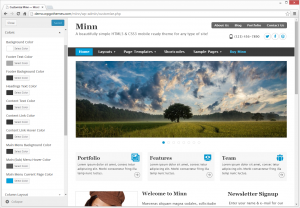 If you don’t already have WordPress installed on your site then you’ll need to do this before you can install the Minn theme. Most web hosts allow you to install WordPress directly from your website control panel – which is the easiest method by far. Contact your web host to see if they support this. Note: Please install the WPGO Metro plugin, as described in your purchase email, before working through this document as it enables all the custom post types, widgets, and shortcodes described below. Once WordPress has been installed it’s time to get Minn installed, activated, and ready to go! You’ll be glad to know that this only needs to be done manually once, as future theme update notifications appear automatically in the WordPress admin (see the section Minn Automatic Updates below for more details). Click on the ‘Add New’ button to go to the ‘Add Themes’ page, then click the ‘Upload Theme’ button. Working through the rest of this document will help you to get to grips with customizing Minn. If you have ANY questions, suggestions, or general comments we would love to hear from you. Your feedback is very important to us! One of the first things you’ll want to do is to add a logo to your site. To do this go to Appearance > Customize. Expand the “Site Identity” section and click on “Add Logo” to select your logo image. You can add a logo from the WordPress media library or upload an image from your computer. Once selected, your logo will automatically appear in the preview window. Click on “Save & Publish” if you want to make the change publicly viewable. Minn fully supports the use of Retina images, including using a Retina image for your logo. Simply make sure that you upload two images for the Retina image you want to display. The only two caveats are the images MUST be in the same folder on your server, and the Retina image has to have an identifier in the filename. e.g. logo.png, and logo@2x.png. The Retina.js script included with Minn will auto detect the device Minn is being viewed on and display the Retina image version where appropriate. If no Retina image exists then the normal image is displayed. Look for the check boxes underneath your custom menu to assign menus to specific locations. You can add widgets to sidebars, the header, the footer, or to pages that use the “Widgetized Page” theme page template. Go to Appearance > Minn Options to view the theme options page. Here you can see links to theme support, this setup page, our Twitter account, and your wpgothemes.com account area. Favicon support. Go to Settings > WPGO Metro to add a URL to a favicon image. 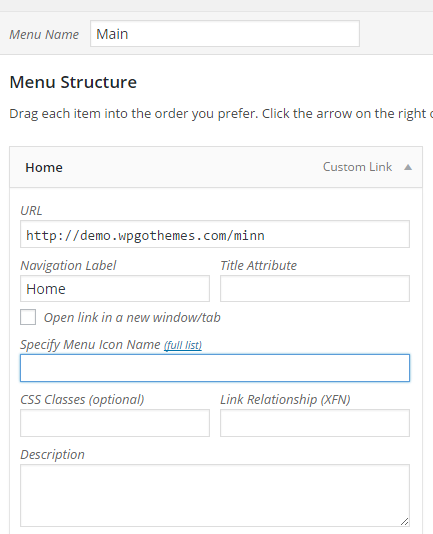 Add ‘Plugins’ link to front end WordPress toolbar. Added Twitter, Facebook, Google+, and Skype input fields to all user’s profile page. 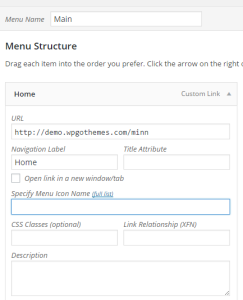 Optionally display a fixed menu which activates as you scroll down the page. Go to Appearance > Customize > Header Navigation Layout to enable/disable this. Since version 3.4, WordPress has included a very cool new feature called the theme customizer. For themes that support it the theme customizer allows you to quickly make design changes in real-time and preview them prior to making them publicly viewable. We provide a sample Minn child theme to get you started, which you can download via your wpgothemes.com account page. The child theme is installed and activated in exactly the same way as the Minn parent theme. Once your child theme is installed and activated, go to Appearance > Editor to make CSS customizations in style.css, and add custom PHP code in functions.php. It is also possible to accomplish more advanced tasks by copying theme template files from the parent theme to the child theme. This forces WordPress to use the template file in your child theme instead of the parent theme, so you are safe to make modifications to it that won’t be lost during theme updates. To copy a theme template file you will need to do it via your web host control panel or FTP software. As mentioned earlier, any changes to your site you make via the child theme will be preserved during updates to the parent Minn theme. Even with a child theme active you can still use the Custom CSS text box in Minn theme options to make tweaks to your site styles. These Custom CSS style rules are rendered AFTER the parent/child theme styles, and so will ALWAYS have priority. This is done on purpose to allow you to use the Custom CSS theme option to tweak styles on your site whether you are using a child theme or not. Once Minn has been installed and activated you’ll see an update notice appear every so often in WordPress admin prompting you to install the latest version. Before you proceed with the update you can optionally view details about the new version first to decide whether you wish to install it. Note: You’ll only be prompted to update Minn if you have first entered an active theme license key in theme options. You can find your license key via your wpgothemes.com account page. You can use shortcodes in any post or page. Take a look at this Minn demo page to see examples of how to use the available shortcodes. Minn includes several different page templates. These can be selected via the WordPress admin on the page editor. In the Page Attributes meta box select the ‘Template’ drop down and choose your page template. With Minn you can easily manage the number of columns displayed on any page. In the theme customizer you can specify the ‘global’ column layout that will be used for EVERY page by default (the default setting is 2-columns, with sidebar on the right of the page). You can also select a different column layout for each individual page if you need to. On the page editor select the ‘Column Layout’ dropdown in the ‘Page Display Options’ meta box and choose a new column layout. Sometimes it is handy to be able to hide page titles (the title displayed on the page, not the browser page title). This is easily done in Minn. In the ‘Page Display Options’ meta box select the ‘Hide single Page title’ check box and click the update button to save changes. When you view the page the title will now be hidden. If you can’t find the help you’re looking for then please contact us and we’ll be happy to assist. We’re always updating our information to make sure it includes all the assistance you need, so if you have a problem you can’t solve let us know and (if relevant) we’ll add the details here! Don’t forget if you start to install Minn but then decide you’d prefer us to do all the work, then we can do that for you.